Important: See Contact Page for directions since online maps have us in the wrong place. 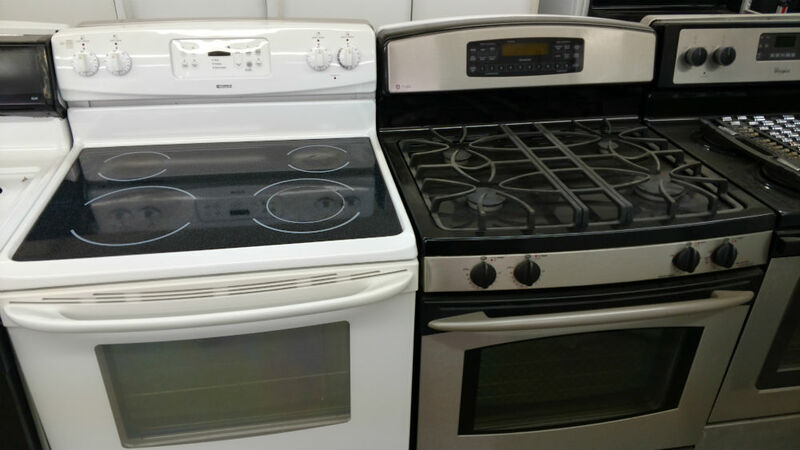 Maryland Used Appliances is where you can find an extensive selection of the finest brands of kitchen ranges, stoves and ovens in all of Glen Burnie and the Annapolis, MD area. We have competitive pricing for our products and we deliver to homes and businesses. 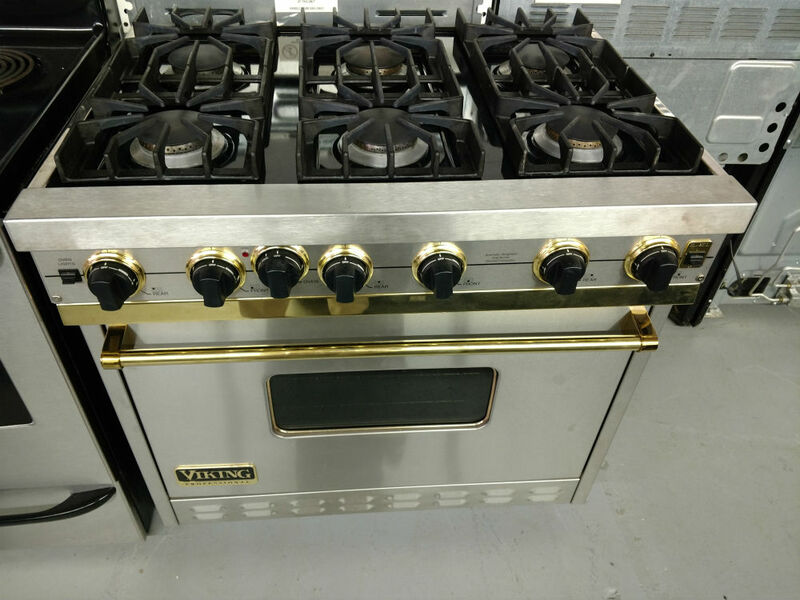 A lot of people say that they get the best results when cooking with a gas range and maybe that’s why this type is very popular. 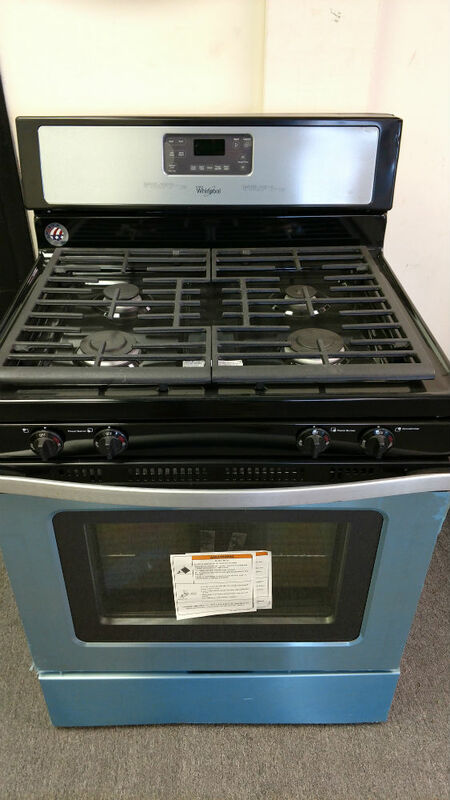 We have plenty of gas cooktops available and you can come and pick one for your kitchen. Electric coil ranges cook slower than gas but usually faster compared to cooking with glass-ceramic. They are the least expensive among the other types of cooking ranges and they are easy to maintain. When you use an electric coil range, you can use your pots and pans without worrying about scratching the surface such as when you’re using a glass-ceramic top. This type tends to be the most costly. Although they are very easy to clean, they require some caution especially when used with cast iron cookware in order to avoid scratching its surface. They work best with flat-bottomed cooking containers. Maryland Used Appliances is located on Azar Avenue in Glen Burnie, Maryland. Please click on the Contact Page for more specific directions. We service and deliver to the area around Glen Burnie as well, including Annapolis, MD, Jessup, Pasadena, Riviera Beach, Linthicum Heights and many other towns and communtities. 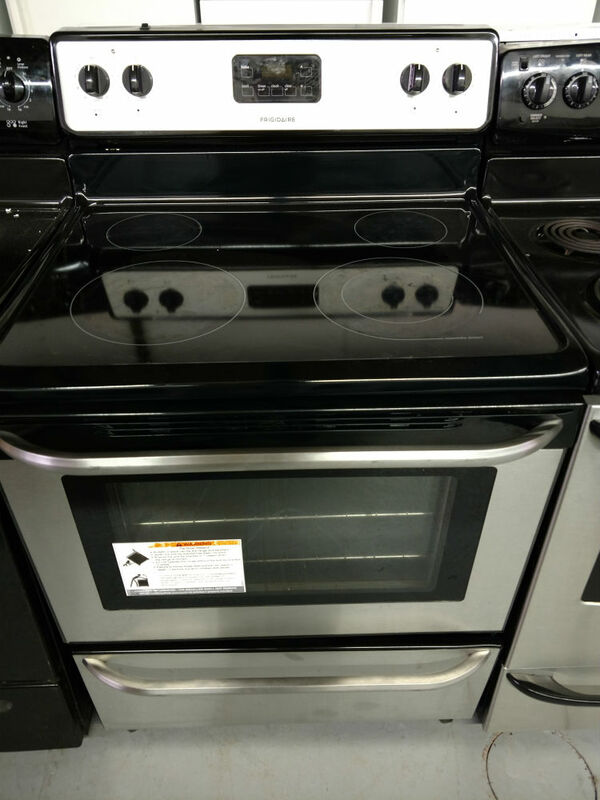 Our stoves, ovens and ranges come with a 90-day warranty just like all the other used appliances we sell. We inspect and test them to make sure they do not have any issues whether they are gas or electric. 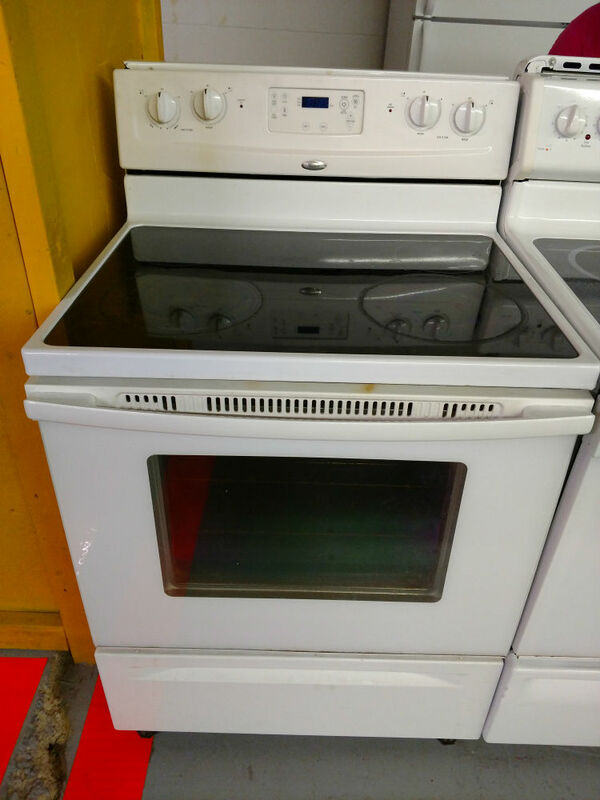 Some stores have what they call scratch and dent ranges or stoves (which are new with very minor cosmetic damage) and we have them too but, most of what we sell are like-new used kitchen appliances. We also sell other items such as Washers, Dryers and Refrigerators. 43-595-9004. You also need to check HERE for directions because online maps don't show us correctly.